"In the sixth month the angel Gabriel was sent by God to a town in Galilee, to a virgin who was betrothed to a man called Joseph, belonging to the house of David. The virgin’s name was Mary. "The angel went in and said to her, 'Hail, O favored one! The Lord be with you!' At this she was startled; she thought to herself, whatever can this greeting mean? 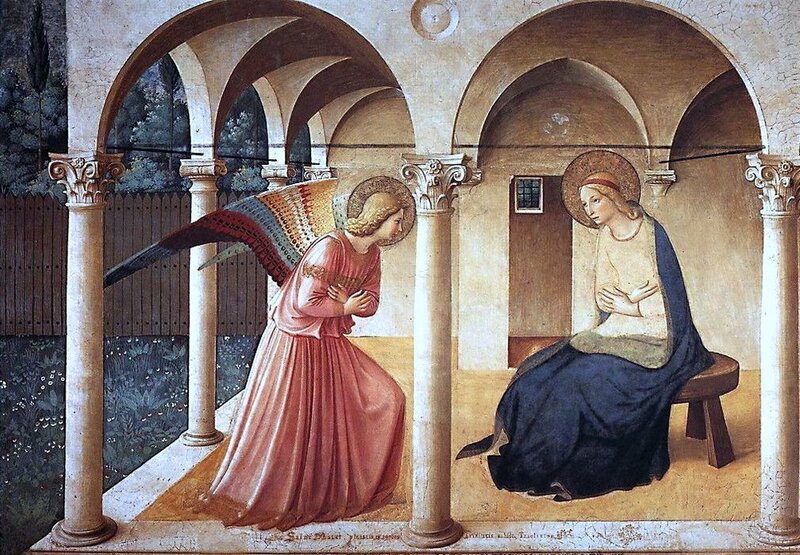 But the angel said to her, 'Fear not, Mary, you have found favor with God. You are to conceive and bear a son, and you must call his name Jesus. "'How can this be?' said Mary to the angel, 'I have no husband.' The angel answered her, 'The Holy Spirit will come upon you, the power of the Most High will overshadow you; thus what is born will be called holy, Son of God. "'Look, there is your kinswoman Elizabeth! Even she has conceived a son in her old age, and she who was called barren is now in her sixth month; for with God nothing is ever impossible.' Mary said 'I am here to serve the Lord. Let it be as you have said.' Then the angel went away." We often find that faith, an ostensibly simple thing (just believe! ), is illusive in our daily lives. The harsh realities of the world chafe against our most intimately held hopes and dreams. Our disappointments and pains lead us, unwittingly, into hopelessness. Because of the illusiveness of faith in God, we search out and find plenty of minor hopes in which we can place our trust. Too often, the anticipation of these minor hopes propels most of our lives and, sadly, it doesn’t seem unnatural to us. Rather, it is a way that seems right to us, for the world preaches a gospel of small hopes. And we buy in – time and again. The real insidious truth is that these small hopes inoculate us against true hope, namely hope in God. We become so oriented toward hoping in the things of this world that we lose sight of the divine reality that is constantly beckoning us to believe. So, the question is posed: how can we find true hope? How can we develop a holy anticipation for God, something akin to the anticipation that drove Mary’s yes in her encounter with Gabriel? "how can we find true hope? How can we develop a holy anticipation for God?" I think there can be a no more pertinent question for us as we enter the season of Advent this year, here in 21st century America. This question has burned at the center of the Christian experience since those fateful moments came to pass in a broken-down manger in first century Palestine, when a young girl gave birth to a child that would change the course of history forever. Change the course of history? It doesn’t seem enough to say just this. But yes, that is true: the unassuming, the fragile, the helpless, the pure, this meek child was the messiah for all time. This child changed the course of history. This child, born in poverty. This child, born into exile. This child, born into a violent world that didn’t want him. It was this child that changed history. This child, whose humble birth was barely noticed by those closest around, sent cosmic waves of change, the effects of which grabbed the attention of three magi in a distant country. Who, not knowing enough to justify such a thing, traveled into the unknown to find out what it meant. Their anticipation drove them. Their hope sustained them. Their faith brought them to the child of promise, and their longing for truth was satisfied. "Their anticipation drove them. Their hope sustained them. Their faith brought them to the child of promise, and their longing for truth was satisfied." This child's immergence into the world became the joy of an old man who had been longingly anticipating Israel’s savior for years. So profound was Simeon’s anticipation, that upon taking the child into his arms he declared his readiness for death – oh what a release it must be to not fear death, but to welcome it at the sight of a realized dream! Such a release is only possible for those who anticipate something truly worthy of eternal hope. Simeon’s anticipation for God did not betray him in the end. Instead he died in peace, having seen God’s truth on display in this child brought before him. It is not enough for us to pray for God to manifest our hopes before us, but we must pray for God to determine our hopes and shape our anticipation. This child was the pride his mother and father, who had brought him to bear through so much trial and uncertainty. There may have never been an utterance so celebrated as that of Mary when she responded to Gabriel “Let it be as you have said.” There may have never been an action so rewarded as that of Joseph when “he did as the angel of the Lord commanded.” This blessed couple found the fruit of their obedience in the little person brought forth in such a strange time and setting. Was it the glory they hoped for? Most assuredly, yes. These two creatures ushered truth into the world at the behest of a God that loved them dearly. Their righteousness was merely believing in his word and acting accordingly. The results of this seemingly small act of righteousness changed the world. "It is not enough for us to pray for God to manifest our hopes before us, but we must pray for God to determine our hopes and shape our anticipation." What was the substance of the belief on display in these saints? It was the anticipation of God’s word to be revealed in the world, anticipation rightly directed and rightly ordered for the kingdom of God. It was the anticipation for Jesus Christ to be born into the world. Even as it became clear to these saints, and as it is clear to us now, Jesus Christ is the fullness of God manifested as a person. A person whose arrival we must anticipate. However, so much of our daily life is fraught with these minor hopes, each bringing with it an orthodoxy of anticipation: “this or that is what your heart should desire, what your dreams are to be made of.” We often fail to realize is that where we place our hope, where we direct our anticipation, there we will find our ultimate end. Created things, minor hopes, small gods cannot be salvation, precisely because our lives are infinitely larger than any of these. Only Christ is large enough to be the refuge in which you place your life. Christ is the only hope worthy of our anticipation. Advent, then, is a time to recalibrate our lives. It's a time to re-associate ourselves with the end we’re truly longing for: to be in Jesus Christ. It is, perhaps, divine providence that in our culture the Christmas season has become so difficult to navigate for the Christian. 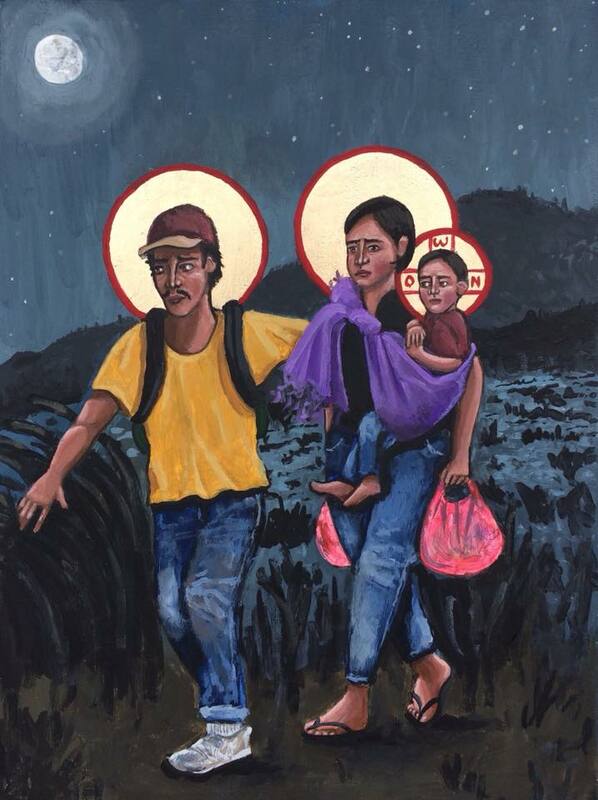 After all, it seems like the Christmas “gospel” proclaimed most in America is that of consumerism and greed. Maybe God is trying to teach us something about what it means to walk a truly counter-cultural Christian life… In the face of this Christmas-difficulty, we can press into Advent as a season to learn to direct our longings in the right direction. This is the heart of repentance! Turn your longing away from money, material gain, comfort, and idealism, and direct your longing to the coming of Jesus Christ. To begin with, training yourself and your family to long for Christ is like developing a habit. You have to start by consistently setting your heart to prayer, to reading Scripture, and to Christian fellowship. Advent is the perfect season to commit yourself to all of these because there is, built into the liturgical calendar, a daily lighthouse which can help structure these practices in your life. Praying through a book of meditations or having directed prayer that focuses on themes of Advent can start to shape an anticipatory spirit in you and your family. HERE is a good Advent devotional book that has made rounds at City Fellowship for a number of years – we have these freely available at the Info Desk, so grab one next time you’re in the building. Engaging with your Christian brothers and sisters throughout this season – sharing meals, hang-out time, and prayer – can bring your spirit to life as you begin to anticipate the birth of Christ in community. As we enter this season of Advent 2017, I pray that God would empower our body for the hard work for waiting in anticipation. Waiting for redemption. Waiting for restoration. Waiting for justice. Waiting for peace. Waiting for Jesus Christ. May it be so in the name of the Father, the Son, and the Holy Spirit. Come Lord Jesus!